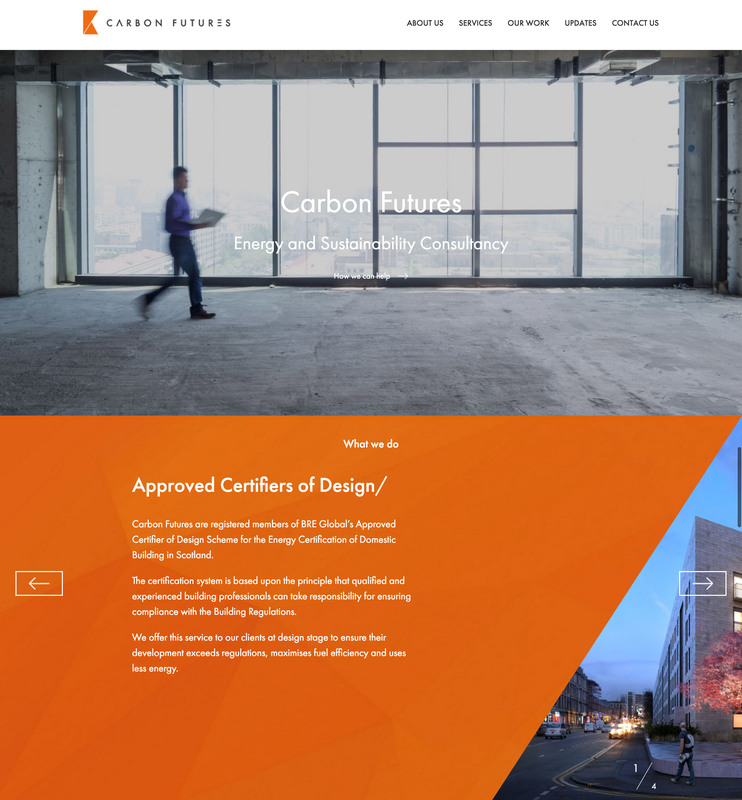 This site is the online presence of the echo friendly architecture firm Carbon Futures. It showcase's their latest and past work as well as the services they provide. 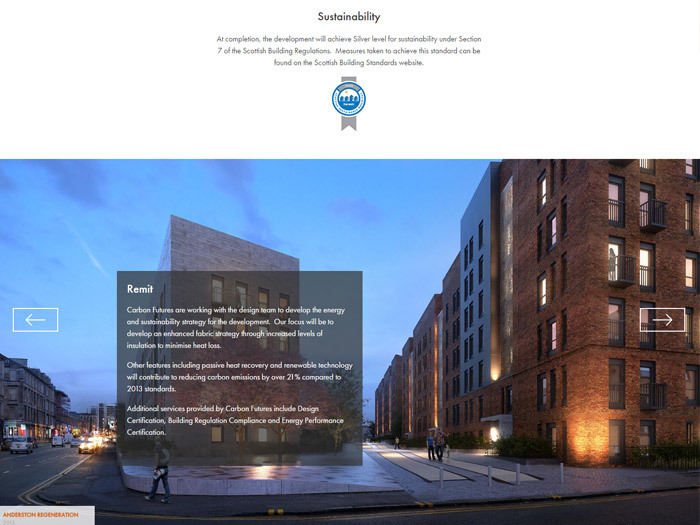 The home page of this site pulls content from different parts of the site. Trying to work out the slider functionality was really good fun. I talked it through with another developer and came up with a way of always making the triangles go into the corners. The triangle theme continues throughout the site on many of the landing pages and I make use of nth-child() css to control the layout. 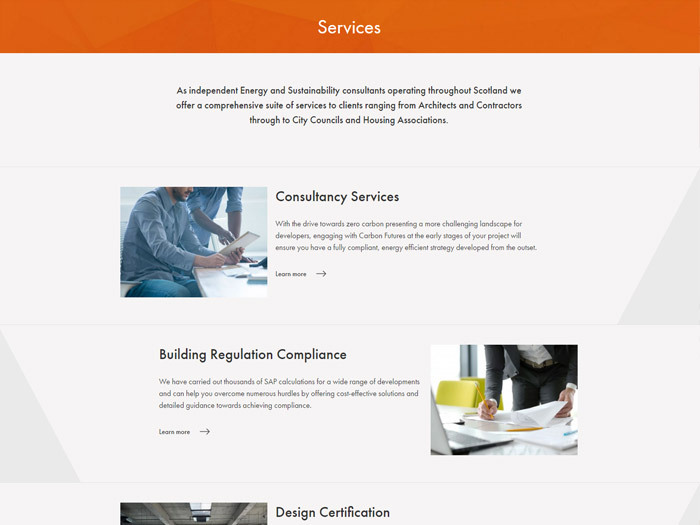 I use a fixed full width background image to create a parallax effect on the about and services pages. 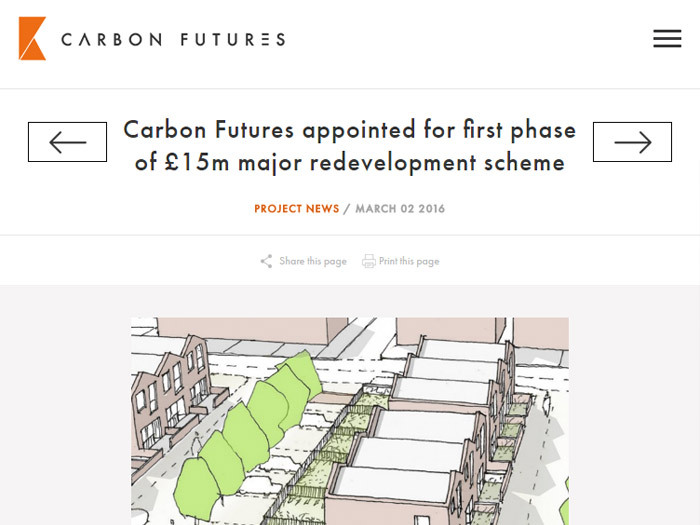 The site also has slideshows, lazy load for more content and a contact form.